Cathy Carothers is co-director of Every Mother, a non-profit organization providing lactation training for health professionals. 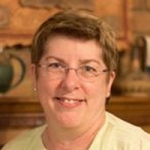 An International Board Certified Lactation Consultant since 1996, she has provided more than 600 training events and conference presentations in every U.S. state/territory and several countries. She is past president of the International Lactation Consultant Association (ILCA), a fellow of ILCA, and past chair of the U.S. Breastfeeding Committee. She chairs the design team for the equity initiative in the lactation consultant profession, and chairs the Monetary Investment for Lactation Consultant Certification (MILCC), which works to reduce financial barriers to the IBCLC exam. She has directed several national breastfeeding promotion and support initiatives for the U.S. federal government, including the national USDA WIC peer counseling program, and national workplace support initiatives through the U.S. Department of Health and Human Services. She was honored with the 2014 National Leadership Award from the National WIC Association. In July 2014, for the first time, stakeholders from 12 countries across the world and major underrepresented communities gathered to explore global barriers that make it difficult to attain the International Board Certified Lactation Consultant® (IBCLC®) credential. Hosted by the three international organizations – IBLCE®, ILCA®, and LEAARC – the Summit contributed to a much larger movement to dismantle inequities within the field. This session will explore how the Summit contributed to this larger movement, how this movement is gaining momentum, and ways in which lactation professionals and organizations can work to reduce inequities. It will also present major findings from the 2014 Lactation Summit. The session is led by Cathy Carothers, chair of the design team for the initiative, and Sherry Payne, the 2014 Lactation Summit facilitator. Do you ever find yourself wishing you had just the right words in a difficult counseling situation? When time is limited and the pressure is on, it can be challenging to use our best counseling skills when assisting mothers with breastfeeding...especially when clients are difficult or special circumstances exist. This session will tackle some of the most common challenging situations, including interfering grandmothers, apathetic dads, resistant moms, and colleagues who do not support you. The session will also address strategies for addressing clients who do not speak your language and ways to help women feel empowered and confident they can deal with breastfeeding concerns.